Mama and I found pajamas so perfect for each of us that we joked they’d been made specially. Yet, we found them at Costco! Hers have a peacock-like design—Mama adores peacocks—and mine are polka dotted! They’re in colors we love, and the pajama tops even have the respective necklines we strongly prefer. 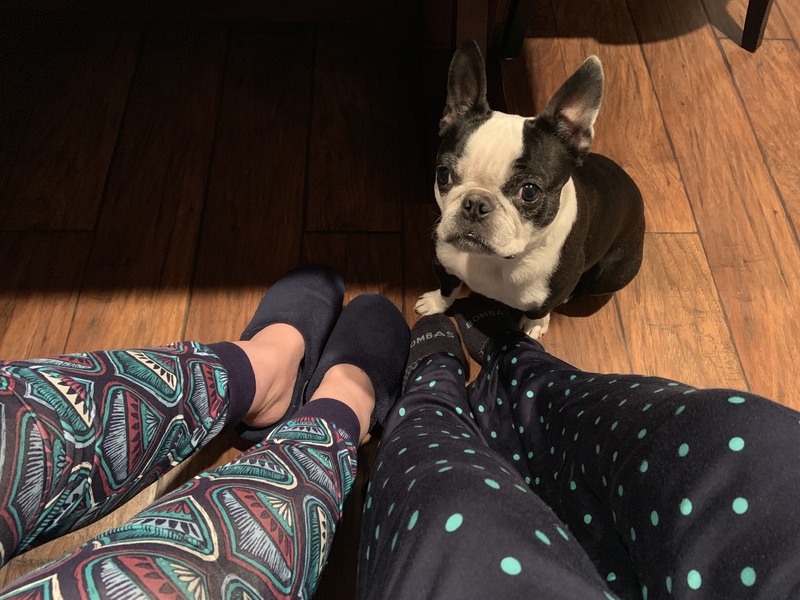 Today’s #OneGoodThing was finding fabulous new pajamas with Mama! Yay for Costco! What was your #OneGoodThing today? Please share in the comments! Day 36 of 365. And Day 1,132 in a row (here’s the first 366, & the following 365, & the third year of 365 good things)!